We did it! This year I vowed to read a book day to my daughter. We finished up reading our 365th board book this month, but we'll keep on reading! This has been such a neat experience. Of course, we have a lot (really a lot) of books around the house, but this project has allowed me to explore what our library has to offer, and given me the excuse to shop for more. I also felt really humbled by statistics that show nearly half of children are not read to every day. Reading nearly every day was a challenge! And there were a lot of days that we skipped, and a lot of days where we'd read 4 or 5 books. So technically, we didn't read "every day." If a librarian can't read Every. Single. Day without fail, who can? 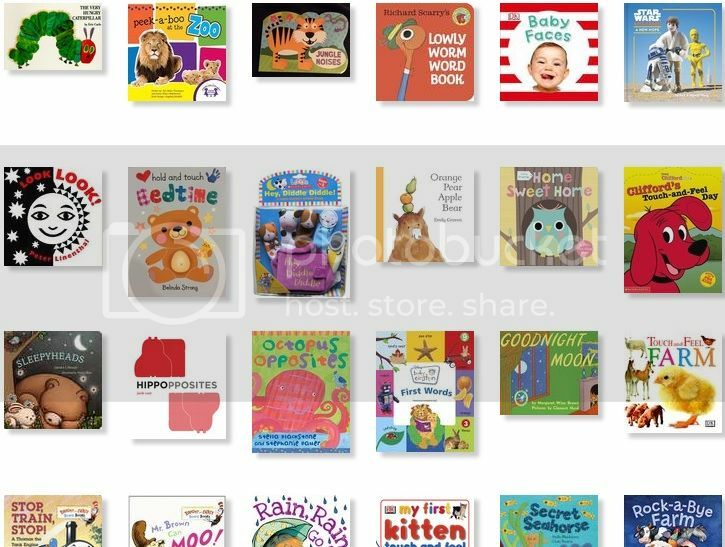 It has been really fun reading old favorites with my child, and reading those books which were always my favorites to perform during storytime and see her reaction. She likes making chomping noises for The Very Hungry Caterpillar, and patting the fluffy dog in Touch and Feel Farm. I also discovered a lot of new authors, and even found that some of my daughter's favorites were affordable books we picked up at the dollar store. Her all-time favorite has to be Jungle Noises. "What sound does a tiger make? Rawr!"